i finally got round to doing something with the collection of weird and cheesy labels i kept from my various tie-projects: the wrap and the hairpins. 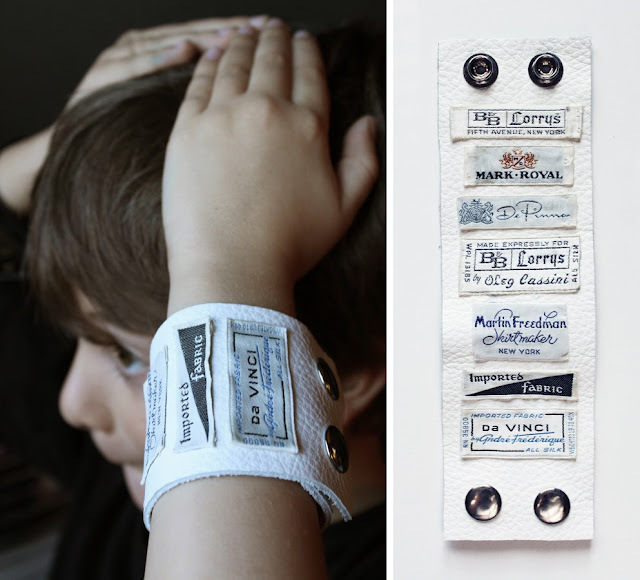 i simply glued them to a scrap piece of leather, and turned them into a cuff bracelet. 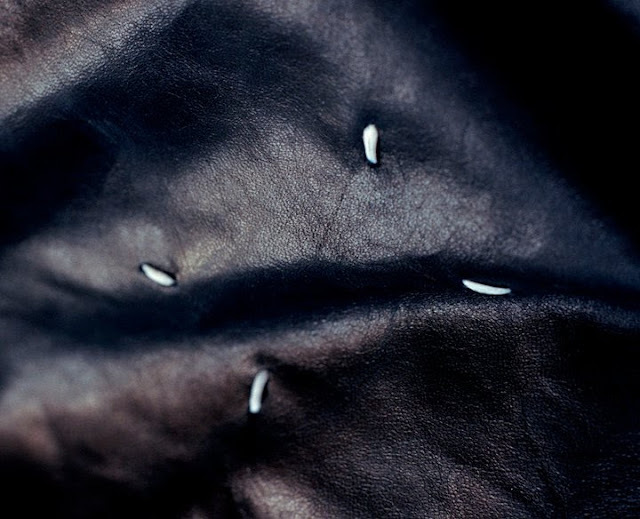 it's my homage to the unsung heroes of branding and the complete opposite of the coolest of all labels: the 4 white stitches, indicating the no-logo white cotton tape that makes up the martin margiela label. 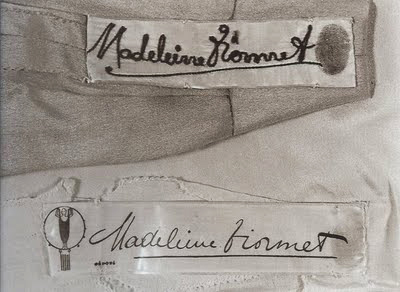 the award for most original brand goes to madeleine vionnet however, who literally incorporated her thumbprint on her label - and she did so in 1923!